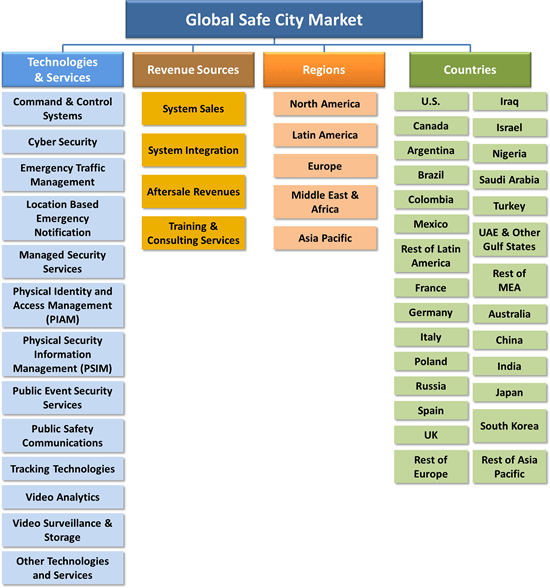 The Safe City market, technologies and industry are going through major shifts. Today’s towns, communities, cities and metropolitan areas feature incredibly vast and varied infrastructure serving billions of individuals. They are constantly susceptible to threats and events, driven by crime, terror and natural disasters. Such threats and events pose significant risks to the safety and well-being of people. To handle these huge responsibilities, law enforcement, public safety and municipalities consider a more comprehensive approach that includes new synergies between early warnings and real-time circumstances providing a complete cycle for intelligence, evidence, response and investigations. The Safe City technologies, industry and markets are going through major shifts. Public opinion, political, terror and crime pressures combined with maturing safe city technologies such as Video Analytics, PSIM, PSAP, Distributed Sensors Systems, Sensor and Data Fusion Algorithms, SaaS, Social Media Emergency Response software, Geo-Design and advanced ICT technologies, are creating fresh business opportunities. The election of Donald Trump as U.S. president, promising throughout his campaign a tough fight against Islamist extremism terror at home and abroad, and to invest in law and order (e.g., “I am the law-and-order candidate”), will boost the federal U.S. Safe City-related legislation and budgets. 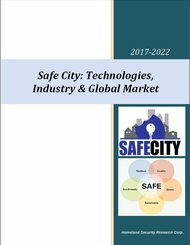 The “Safe City: Technologies, Industry & Global Market – 2017-2022” report examines each dollar spent in the market via 4 orthogonal money trails: regional/national markets, technologies & services markets and by revenue sources. This report is a resource for executives with interests in the industry. It has been explicitly customized for industry and urban decision-makers to identify business opportunities, developing technologies, market trends and risks, as well as to benchmark business plans. What will the Safe City market size be in 2017-2022? What are the main Safe City technology trends? Where and what are the Safe City market opportunities? What are the Safe City market drivers and inhibitors? Who are the key Safe City vendors? 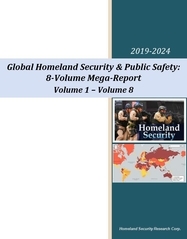 What are the challenges to the Safe City market penetration? 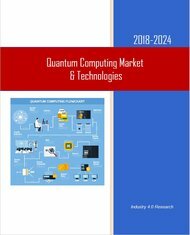 78 Companies operating in the market: 3xLOGIC, 3i-MIND, 3VR, ABB, Accenture, ACTi Corporation, ADT Security Services, Agent Video Intelligence, Avigilon Corporation, Axis, AxxonSoft, BAE Systems, Bosch Security Systems, BT, Camero, Cassidian, CelPlan, China Security & Surveillance Inc., Cisco, Citilog, Computer Network Limited (CNL), Diebold, DVTel, Elsag Datamat, Emerson Electric, Ericsson, Firetide, GS, General Electric, Hexagon AB, Honeywell, IBM, IndigoVision, Intel Security, IntuVision Inc, iOmniscient, IPConfigure, IPS Intelligent Video Analytics, ISS, MACROSCOP, MDS, Mer group, Milestone Systems A/S, Mirasys, National Instruments, NICE Systems, Northrop Grumman Corporation, ObjectVideo, Orsus, Panasonic, Pelco, Pivot, Proximex, Raytheon Company, Salient Stills, Samsung Techwin, Schneider Electric, SeeTec, Siemens, Smart China (Holdings) Limited, Sony, Synectics Plc, Tandu Technologies & Security Systems Ltd, Thales Group, Total Recall, Unisys, Verint, Vialogy LLC, Vigilant Technology, xLOGIC, Zhejiang Dahua Technology. 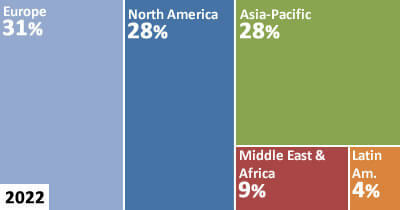 2.2.3 Crime in the U.S.
2.2.4 Terror in the U.S.
19.1.7.6 Ministry of Police Affairs. 22.24 China Security & Surveillance, Inc.
23.3 Whom Is This Report For? 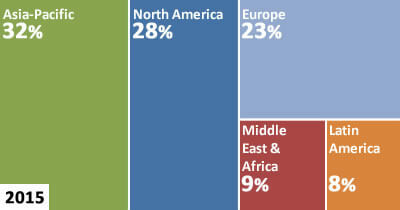 Figure 9 Urbanized Population Across the Globe.